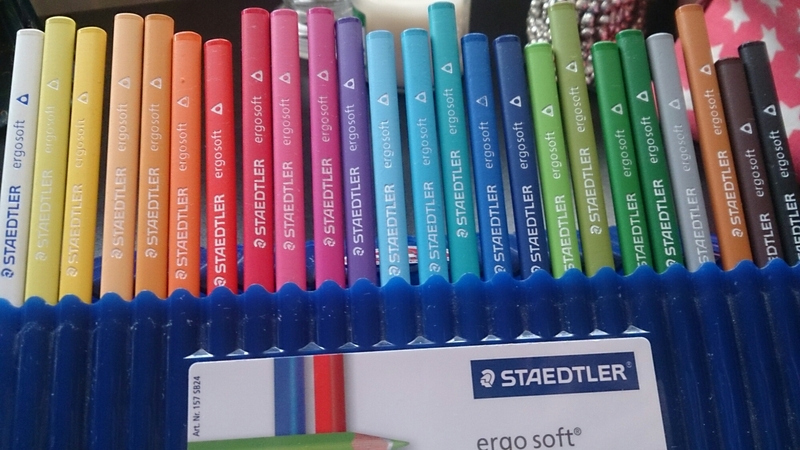 My beloved ‘Staedtler Ergo Soft’ pencils. Like a makeup brush, these can create so many different textures. These are really soft pencils (I’m normally heavy handed, so the softer graphite helps!) The sheer quality of these is beyond amazing. Normally I would just block colour, but the amount of blending I get outta these is amazing. I’M VERY PICKY! They are colouring pencils, but you get different types. These beauties work well with water colours, blending in perfectly. Or if I’m working with arcylic paint they can create a great depth and softest that paints just can’t do. They where from Whsmith on sale. The unique thing is that they are triangle in shape. Which is just a little easier too use. By far my tool I prefer. Posted in Art, Life StyleTagged Life Style. Art tools. Art lovers. Oh I love these pencils (never tried them) would love to see your artwork one day! I love art too. Been trying to find a way to work it into my blog somehow! !